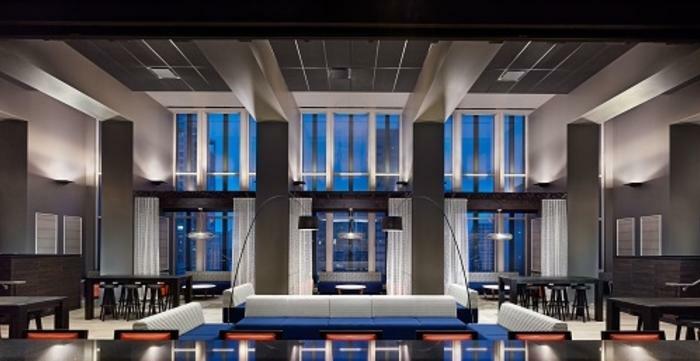 Chicago is teeming with modern venues that are just the right size for your next small event. Every meeting planner knows that when it comes to venues, one size does not fit all. For smaller events especially, finding a space that&apos;s not too big yet not too small can be a serious challenge. Why settle for cavernous banquet halls or cramped boardrooms when Chicago has some ideal in-betweens? Below is our guide to smaller meeting spaces that will wow your attendees with modern design, unbeatable location and state-of-the-art functionality. Vibe & Features: When they say "elevated modern" they mean it. R29 is perched on the 29th floor, with sweeping views of the Loop. The atmosphere is lounge-esque, with low-slung sofas, fireplaces and moody lighting that allow for the floor-to-ceiling windows to do the real wowing. 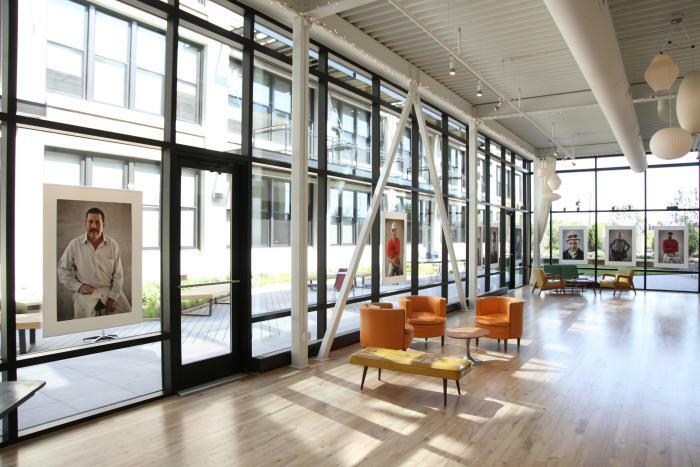 Vibe & Features: Located in a LEED-certified building in one of Chicago&apos;s trendiest &apos;hoods, Greenhouse Loft lives up to its name in every way. Massive windows overlook a garden where attendees can mingle. The loft decor includes funky up-cycled furnishings and built-in drapery that can subdivide the space. And Greenhouse Loft prioritizes sustainability, from on-site recycling to eco-friendly catering partners. Vibe & Features: Housing multiple raw-yet-refined spaces (including intimate studios and galleries, with capacity ranging from 50 to 165), the centerpiece is the breathtaking rooftop and penthouse. With picture-perfect city views, interior/exterior bars, private cabanas and a perimeter garden, attendees might think they stumbled into the hottest new nightclub. Vibe & Features: Bright, airy, whitewashed interiors make a great canvas for events of all kinds, with whimsical touches like paper lanterns that dangle from the soaring ceilings. A huge bank of windows flood the space with natural light and offer glimpses into two outdoor courtyards. Vibe & Features: Located in a former 1930s nightclub just two blocks from Lake Michigan, Chez is urban, cosmopolitan and sophisticated. The 5,000-square-foot main floor has expansive windows and a custom glass staircase that leads to a mezzanine level. Vibe & Features: Operated by leading catering group Food for Thought, 19 East offers the convenience of all-in-one service. 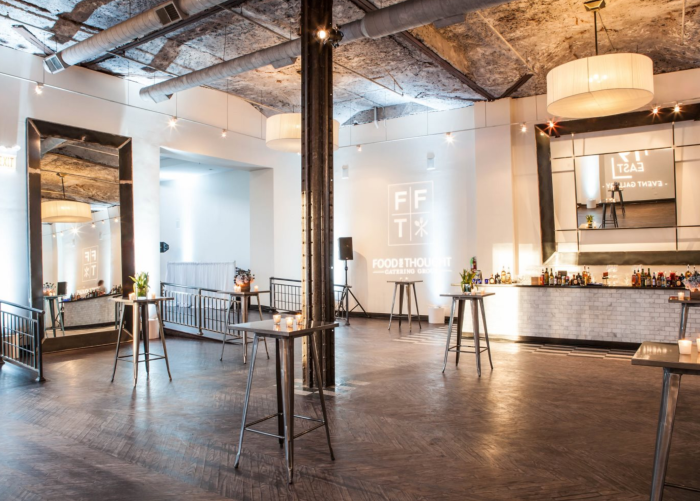 There are four separate rooms to accommodate events of various sizes, with aesthetic touches like wood floors, steel beams, mosaic tile and built-in marble bars. Vibe & Features: Attendees will get a one-of-a-kind window into Chicago, with panoramic views of downtown and Lake Michigan. The glassy, minimalist interiors give it a contemporary art gallery feel. Crown Hall is the central meeting space, and you can combine multiple rooms for larger events and breakouts. Vibe & Features: The epitome of industrial-chic (think glittering chandeliers set against rustic brick walls), the edgy space comes alive beneath dramatic lighting. There are six versatile rooms that can be combined into virtually endless configurations.